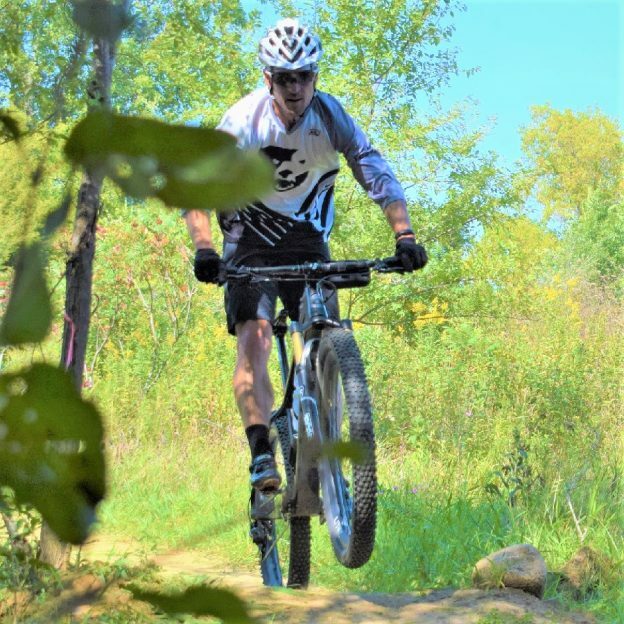 This wheelie Wednesday, we want to mention one of the newest mountain bike parks in the Twin Cities, West Lake Marion Mountain Bike Park in Lakeville MN. It’s a sweet ride! This entry was posted in Picture of the Day and tagged bicycle lifestyle, Lakeville Cycling Association, Lakeville MN, Minnesota fat biking, Minnesota Mountain Bike Trails, Minnesota Off-Road Cyclists, Minnesota trails, MORC, mountain bike fun, Mountain Biking, picture of the day, West Lake Marion Mountain Bike Trail on May 16, 2018 by Russ Lowthian.